Dr Robert Myles (Murdoch University) speaks about the birth of Jesus on the Rev Bill Crews podcast. Also, Professor Francesca Stavrakopoulou (University of Exeter) speaks about the stories of Jesus’ birth on BBC4’s The Infinite Monkey Cage Christmas Special (December 25, 2017). 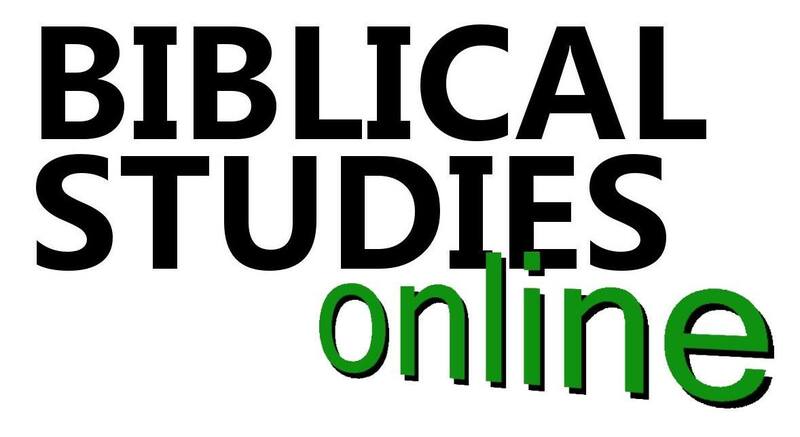 William Loader, Emeritus Professor of New Testament at Murdoch University, discusses his most recent book Jesus in John’s Gospel: Structure and Issues in Johannine Christology (Eerdmans, 2017) with Dr Robert Myles, current Lecturer in New Testament at Murdoch University (audio: 25:12). Among other things, we talk about Rudolf Bultmann’s influence on the study of John, the relationship between John and history, and recent political interpretations of John’s Jesus. Professor Martin Hengel (1926-2009) delivered the 1987 Stone Lectures at Princeton Theological Seminary, on the topic of “The Bible as the Scriptures of the Church”. Associate Professor Christopher Skinner (University of Mount Olive) speaks about his recent book, Reading John (Wipf & Stock, 2015). I wouldn’t say that ‘Jesus equals God’ is the type of formula that we get necessarily in the Gospel of John or even in the Prologue. Over eight videos, Professor Harold W. Attridge (Yale Divinity School) and Professor Emeritus David L. Bartlett (Yale Divinity School) discuss the Gospel of John. The videos are accompanied by study materials on John, made available by the Congregational Church of New Canaan. Professor Adele Reinhartz (University of Ottawa) presented a paper at Boston College on April 8, 2014 on how the Gospel of John informs the debate about the separation of Christianity from Judaism. 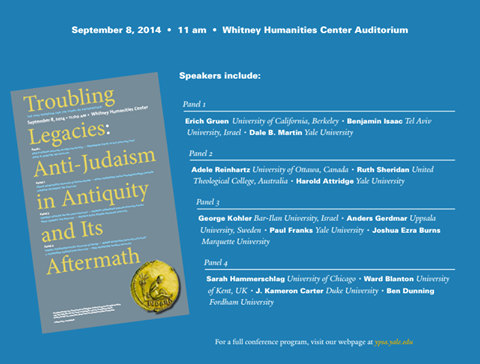 The 2014 Yale Program for the Study of Antisemitism‎ Annual Conference examined “Troubling Legacies: Anti-Judaism in Antiquity and Its Aftermath”. The four panels are available for viewing on YouTube. Panel 1: Non-Christian Greek and Roman Anti-Judaism?